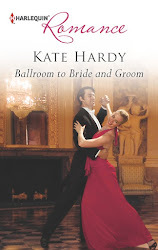 I’ve known Annie Burrows for some years and drunk champagne with her at M&B parties, but it was only this year that I discovered we have something fabulous in common – ballroom dancing class! DH and I only started having lessons in January (so Annie is far more proficient than I am, plus she has PROPER dance shoes – am waiting until we crack the waltz before I buy mine), but Annie and I have had great fun swapping notes, as our dance class is on the same day of the week. (If you say ‘Rumba face’ to either of us and mention the other’s name, we’ll start laughing hysterically.) She also writes fabulous historicals, so we can talk history for hours as well. And… oh, I’ll let her tell you the rest. Thanks, Kate, for inviting me to join in the celebrations for your fabulous milestone. 50 books published!! It's an event worthy of cake, so I thought I'd bring a virtual one for you. Virtual cake is the best kind, after all - no calories! You can say "a moment on the lips, a lifetime on the hips," but the reality is that sadly, when cake is gone, it's gone. Books are a far more lasting indulgence. After I've read one I particularly enjoy, I put it aside, and can take it out again and re-read it whenever I need another fiction fix. Just having a quick look along my bookshelves, I can see I've got copies of several of Kate's books, waiting for a re-read: "The Ex who hired Her" and "Breakfast at Giovanni's" to name but two. 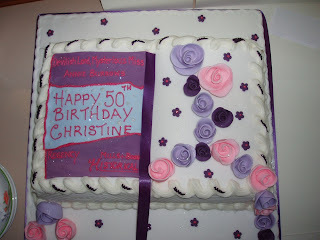 And...just because books are worth celebrating, here's another celebration cake. I had it made recently for my first ever book launch. This is actually my 9th full length Regency romance, but I decided to throw a little party for its launch, to thank my writer's group for all the support and advice they gave me during its creation. The baker and I had great fun planning the decoration. We chose to depict the country house where most of the action takes place. If you look closely you will see a tiny man in a red jacket (Major Cathcart, the hero) climbing in through a bedroom window, while on the opposite side of the house a tiny figure in a white nightie (Lady Jayne Chilcott, the heroine) is busily climbing out through another one. My heroine, you see, is naively trying to avert a scandal, while the hero is attempting to save her from making a terrible mistake. As a consequence the pair of them manage to create an even bigger mess than they started with. It's that kind of book! 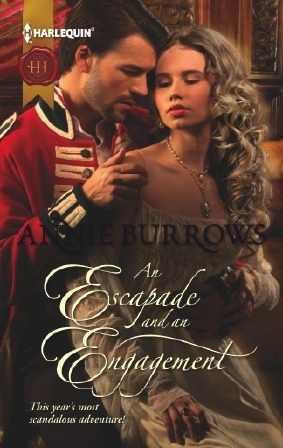 Annie is giving away a copy of An Escapade and an Engagement to one commenter - tell us your favourite sort of cake! Fabulous cakes, Annie. And a new book or fifty, always an excuse for a party! Lime and coconut...any time of the day! Best consumed with coffee and a book. Both those cakes look wonderful, and yes, that taster did whet my appetite! I'll get me coat - oh, and by the way, lemon drizzle! The books and cakes look yummy. As its my birthday today, I bought a white chocolate covered cake, however the best cake for me is a homemade blueberry muffin cake eaten slowly off my husband (or in my dreams Richard Armitage). Congrats to you both on such brilliant achievements! 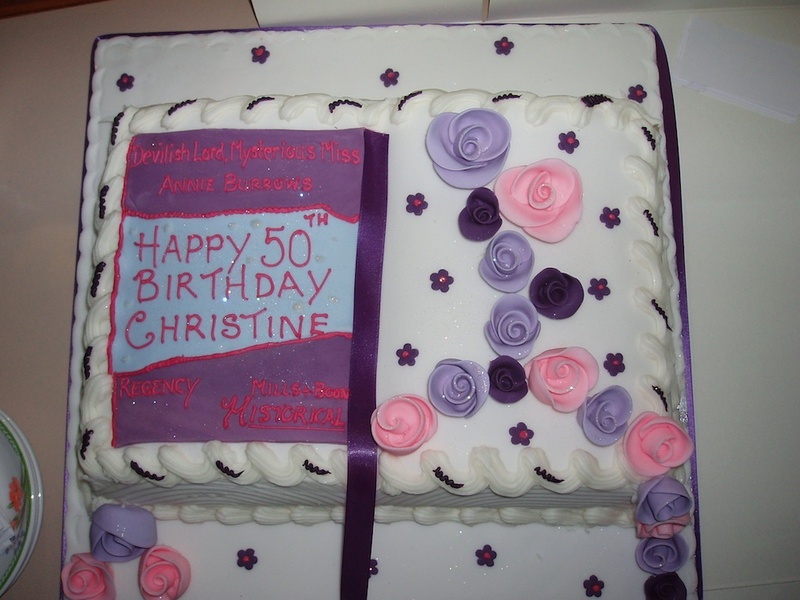 Wow what a fabulous cake Annie! It looked so lovely it seems a shame to eat it! 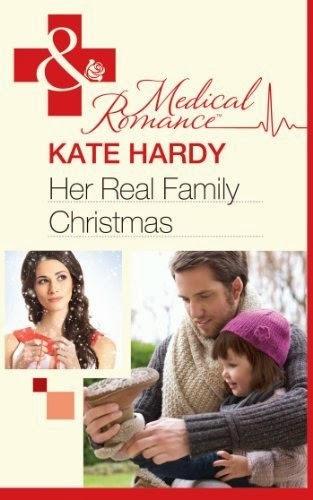 I would love to read Kate's "Breakfast at Giovanni's" and I'm waiting for her to tell me when it's out as an ebook ;o). In answer to your question as to which is my favourite cake - well the answers is easy really - "any". Great interview Kate, and great cakes! Seeing Annie's again, it makes me even sorrier to have missed eating the non-virtual one with the Novelistas. Many happy returns of the 17th, Annie. My favourite cake is a yummy ginger and walnut. Yours looks and probably tastes even more delectable! Well, thank goodness Kate posted a reminder on facebook today...I've been back from America for almost a week, but my brain does not seem to have come home with me!! Thanks so many of you for telling me about your fave cakes. Annie S...lime and coconut sounds as though it should be slathered in green icing. With maybe some tiny palm trees to round it off. Lesley - I used to make lemon drizzle cake when my kids were still smaller than me and lived at home. Any excuse for baking...in fact, son mentioned he may be coming over later this week...where are my baking tins? Kooks - your comment really made me smile!! What is it about Richard Armitage that gives so many of us such wicked fantasies? Juliet - my shop bought cake did not match your home-made chocolate orange cake for flavour. Nothing beats home-made does it? Congrats on the book! Nice cake. First name drawn from the hat for a copy of An Escapade and an Engagement' - Kooks. Please contact me kate(dot)hardy(at)btinternet(dot)com with your snailmail addy, Kooks, and I'll get things sorted. And, as if was your birthday, I'll send you a copy of Rico as well :o) Thanks for taking part!